January 21, 2015 by Ecommerce News. About Events with tags Germany. 2344 views. The Bundesverband E-Commerce und Versandhandel Deutschland has ended its backing of Etailment Summit, a German ecommerce trade that was supported by BEVH for two years now. The other organizing party, the Deutsche Fachverlag will now host the event on its own. The last two years, Etailment Summit was a collaboration between BEVH and The Conference Group, a daughter company of der Deutsche Fachverlag. But with this year’s event, the BEVH no longer wanted to offer its support. The cooperation was terminated at the beginning of 2015. “They had influenced the Etailment Summit, established innovative talk shows and brought prominent personalities from politics and the ecommerce industry on stage”, Neuhandeln.de writes about the added value from the BEVH. According to sources from the German ecommerce association, the event was no longer financially sustainable. “Unfortunately, we have found that the format, consisting of a conference and exhibition, cannot be realized satisfactorily in Berlin”, the official statement reads. It could also be the event is organized in a highly competitive environment. It’s however decided to “mutually and friendly” end the cooperation. There are still constructive talks about other collaborations between the two companies. As said before, The Conference Group will continue with Etailment Summit, while optimizing the concept. “Lebensmittel Zeitung”, “Der Handel”, “Etailment”, “Textilwirtschaft” and “Horizont”, all specialist media from Deutsche Fachverlag’s portfolio, will contribute their professional input, as the official press release states. Plans include practical lectures, interactive talk shows and discussions as well as lunches with experts. One thing that will be different for sure is the location of the event. Previously it was held in Berlin, but from 11 to 12 November this year the event will be opening its doors in Frankfurt am Main. As Neuhandeln.de wrote last year, the Etailment Summit experienced a decrease in visitors last year as only about 2,000 participants attended the event in Berlin. That’s almost 500 visitors less than back in 2013. And in the exhibitions halls in Berlin only 1,000 visitors (without convention participants) were counted, while this number was 1,500 the year before. The number of people who attended Neocom however, looked better. There were about 1,020 people who visited the convention, while an additional 3,043 participants visited the accompanying exhibition. 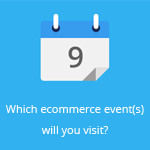 Etailment Summit 2015, as well as Neocom are listed in our comprehensive Ecommerce Events Calendar. Check it out to see which events will take place in Europe this year.